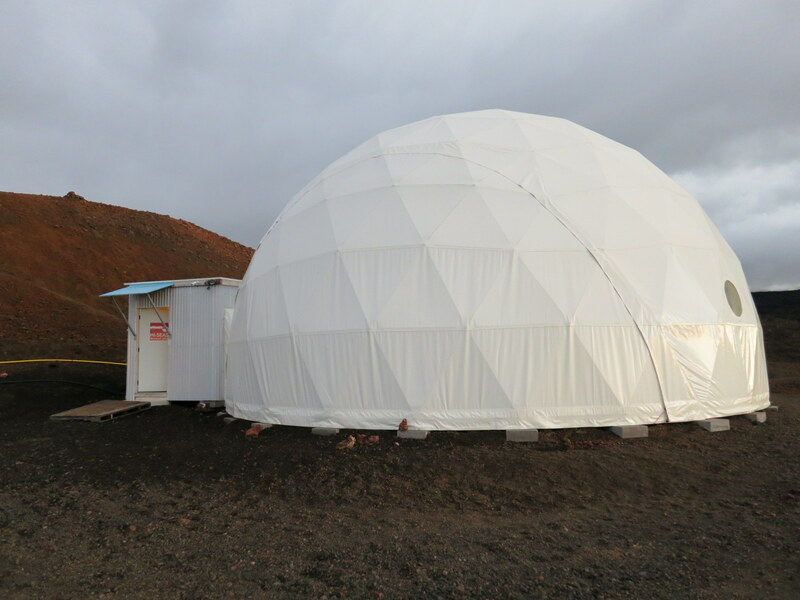 I’m the only member of the current HI-SEAS crew that had spent time in another Mars analog (which is how people in this field refer to these simulated Mars missions) before starting at HI-SEAS. In the fall of 2009 I spent two weeks at MDRS (Mars desert research station) in Hanksville, Utah (aka the middle of nowhere). As my time at HI-SEAS is winding down I thought I’d do a bit of a comparison between my experience at MDRS and my current experience at HI-SEAS. I was in the process of finishing up my master’s degree at Imperial College in London without a clear plan for what I wanted to do afterwards when I first heard about MDRS on a random space blog I’d been reading. Interestingly enough that blog ended up belonging to Brian Shiro who is very involved with HI-SEAS and ended up going on our HI-SEAS selection NOLS trip and doing our pre-mission geology training here in Hawaii. I applied and was accepted for a two week stay at MDRS in the middle of November 2009. I had to pay a small amount for the honor of being a crew member and had to make my own travel arrangements to Grand Junction. I can’t remember for sure where I first heard about HI-SEAS, but I originally applied in 2012 for the 4 month food study. I didn’t make the crew on first mission (though I did make the highly qualified group) but applications were rolled over to the later missions and I found out I’d been selected as a finalist over the summer of 2014. Selection involved an online personality test, Skype interview and after making it to the final nine candidates, an outdoor leadership course/backpacking trip with the National Outdoor Leadership School in Wyoming. We receive a modest stipend during our time here. 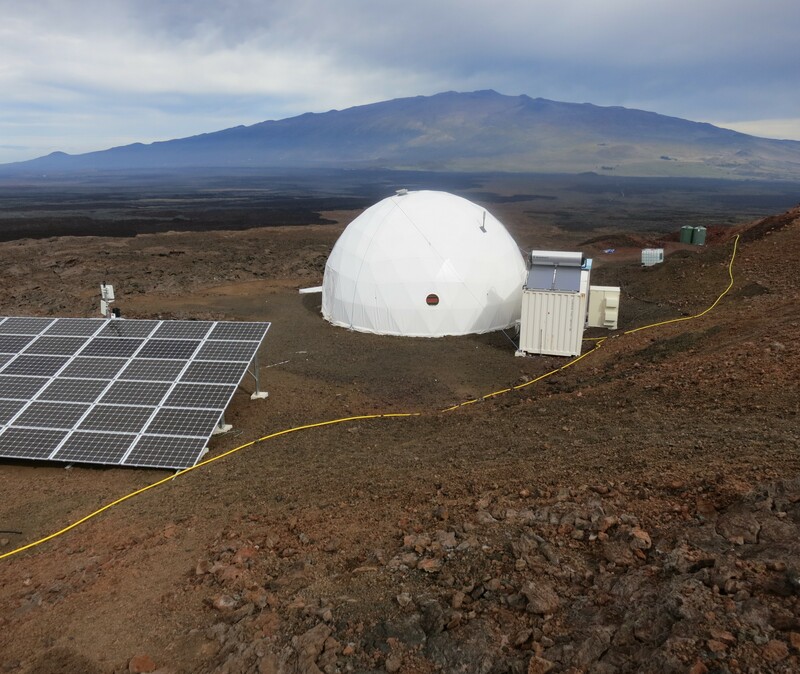 Fundamentally HI-SEAS and MDRS are looking at very different things. 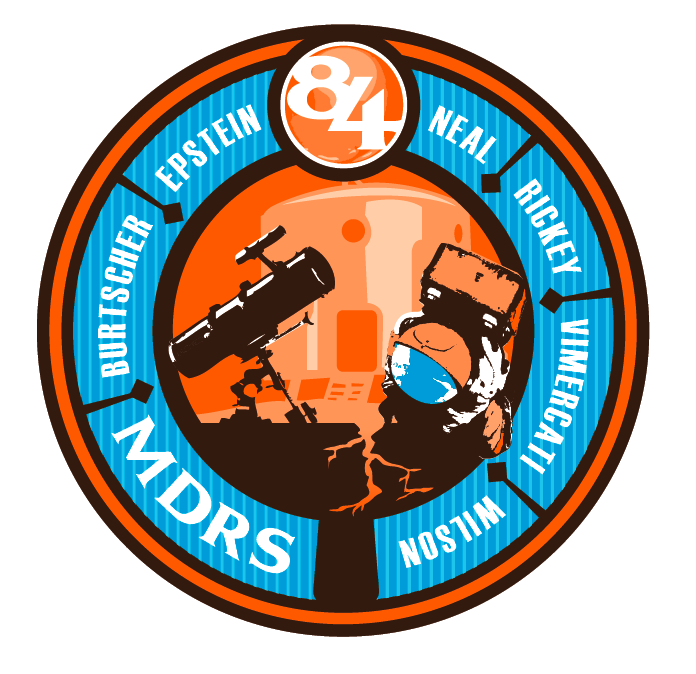 MDRS is run by a private group called The Mars Society whose purpose is to promote the human exploration of Mars. MDRS is a good place to go and test an experiment in a Mars like environment for a couple weeks and then go back and make some improvements. While The Mars Society has their own research goals they weren’t particularly well communicated to us beyond things like evaluating how the habitat works and the acceptability of food. 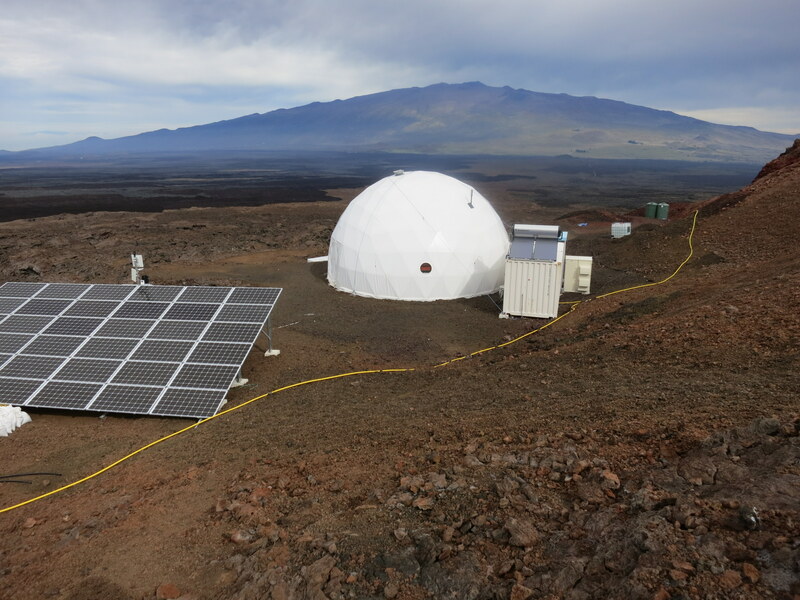 HI-SEAS is run by the University of Hawaii and funded by a grant from NASA. Its sole purpose for existence is to be a venue for the study of crew psychology and selection for long duration isolated missions. All of the other work being done here, both our individual research topics and other group research, is opportunistic and in some ways designed to keep us realistically busy like an actual Mars crew. Crew – I don’t have a good idea of what the typical applicant looks like for each of the studies, but I think the crew caliber for the two crews I ended up on is fairly similar. Both crews were made mostly or entirely of scientists and engineers (most with advanced degrees). Gender split was fifty-fifty for both and approximate ages were similar as well. Selection for HI-SEAS was certainly more strenuous; there was no personality tests or the like for MDRS. I can’t even remember if there was an interview or just as application. As a crew at MDRS we became fairly close over the two weeks. The same things has happened here, though obviously to a greater extent. Mentality – My mentality going into the two missions was pretty different, both due to the nature of the program and the place I was in my life. Before MDRS I had no plans and was free to do whatever I wanted. I quit a good job that I liked in order to come to HI-SEAS. Obviously I feel much more committed to HI-SEAS both because of the time involved and that that I had to give up another good opportunity to be here. Knowing that you are going to be living in a confined space with five other people for two weeks is a very different thing that eight months. I know I could put up with a lot during two weeks, but even the little things can start to get to you after eight months. Level of research/activity – There is much more going on here than at MDRS. I read nearly half a dozen books in two weeks at MDRS. We have far more required tasks at HI-SEAS. Additiaonlly, the personal research I brought with me to MDRS was pretty limited. Other people spent more time on individual research than I did but still much less time than we are spending at HI-SEAS. One of the things I learned at MDRS that I brought with me to HI-SEAS was the need to bring enough stuff to do, hence why I brought two projects either of which I could probably spend all my independent research time on. I think always having something to work on makes the isolation much easier to deal with. Level of isolation – I’d just come back from London the month before I went to MDRS so I was pretty used to communicating with family and friends via email and Facebook (which wasn’t blocked there) so the only real difference was the lack of a phone which for a couple weeks wasn’t a big deal. MDRS didn’t have any delay imposed on the internet (though it had a low bandwidth satellite connection). Mission support would wait before responding to messages as a way on imposing a delay. The situation here is pretty different. With pretty minimal access to the internet (all internet is blocked unless we get it added to a list of permitted sites), it is a lot easier to feel disconnected from society. We get some news updates but in general I don’t feel like I know what is going on in the world. I still don’t feel so disconnected from friends and family; since it wouldn’t unusual for me to go a few months (or more) without seeing them in recent years and I can communicate pretty well with them via email and Voxer (a voice/text/pic messenger that we use). All of our emails and Voxer communications are delayed 20 minutes in both sending and receiving to simulate the approximate time delay of sending a message from Earth to Mars or vice versa. 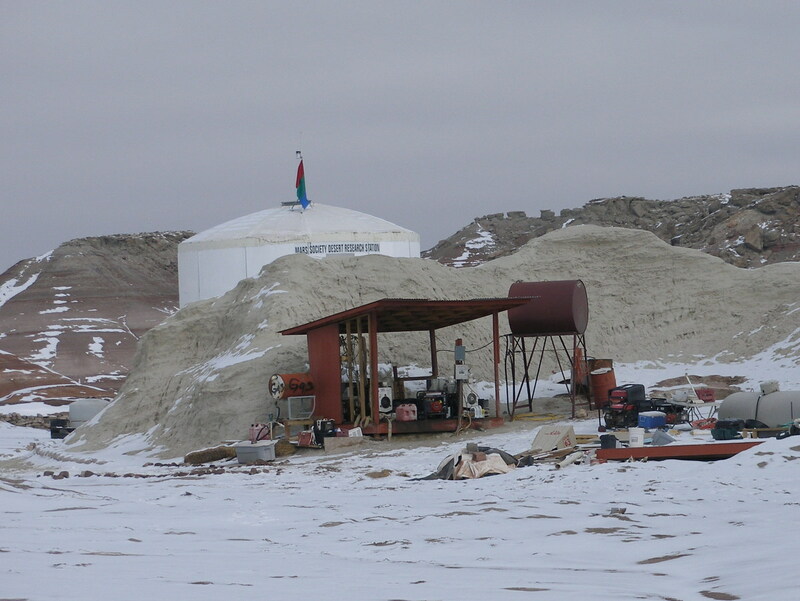 Habitat – I’m glad to not be spending eight months in the MDRS habitat (first photo). It had already been there for about 10 years when I was there and though it was functional it wasn’t all that comfortable or well set up. The lower level (contianing the lab, bathroom and engineering area) hovered at near freezing temperatures much of the time we were there (it was a very cold November). Though the winter temperature in Utah are closer to Mars than what we have at HI-SEAS it probably wouldn’t be realistic for the habitat interior to be so cold. The technology level is vastly different between the two habitats. At MDRS we had morning and evening engineering checks that required us to go outside and check generators, water, etc (second photo). Here at HI-SEAS (third photo) nearly everything can be checked from a computer, phone or tablet (fourth photo). MDRS had much less in the way of amenities. HI-SEAS has a treadmill, exercise bike, projector, dishwasher none of which MDRS has. Things like this make life much more comfortable, especially in the long term. The design of the two habitats are in some ways quite similar. Both are two levels, with high ceilings/open plans. The bedroom are similarly tiny. 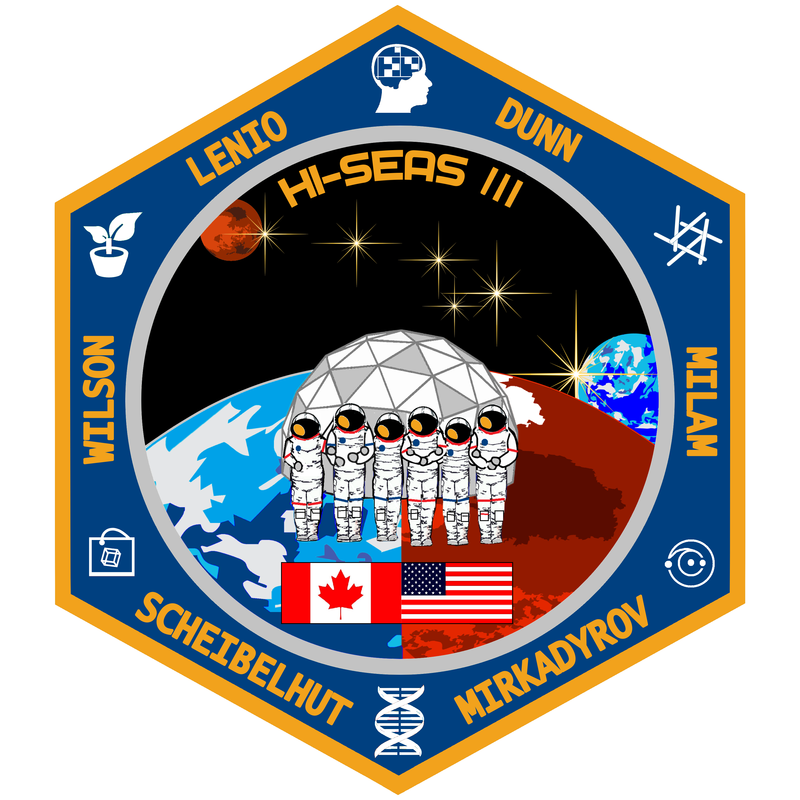 Space suits – Both MDRS and HI-SEAS use simulated space suits to keep EVAs (extra vehicular activities) as realistic as possible. 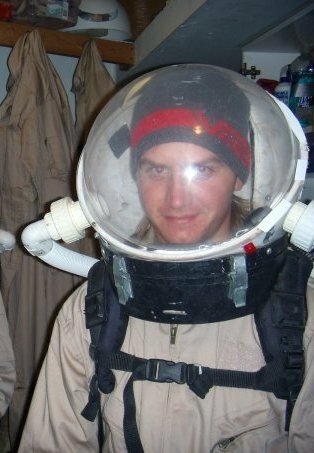 MDRS used coveralls with plastic bubble helmets (first photo below). 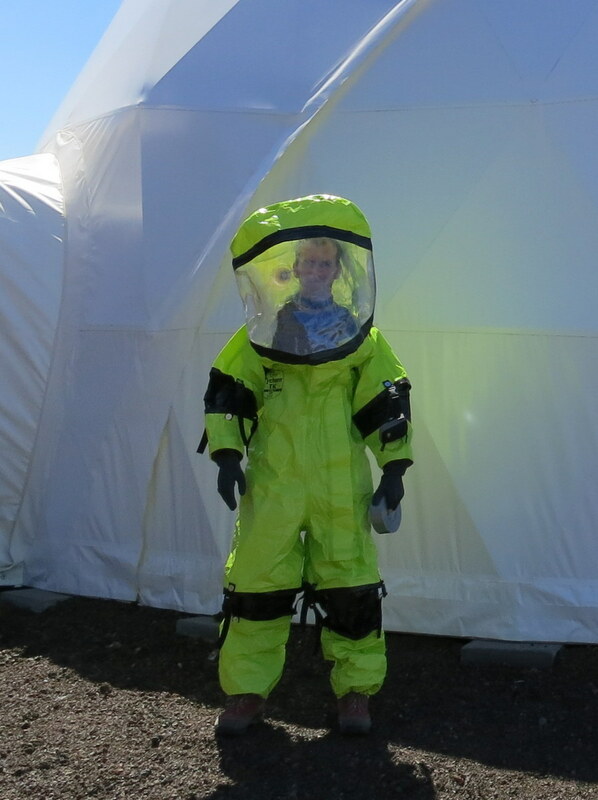 HI-SEAS uses modified hazmat suits (second photo below). Each one has its pluses and minuses in terms of being a realistic space suit. The field of view of the hazmat suits is pretty limited, more so than any space suit I’m aware of. The MDRS helmets were better in this regards. The hazmat suits are much more effective as isolating you from the environment. Neither is as motion limiting or awkward as a real space suit would be. We have an additional simulated spacesuits from the Space Systems Lab at the University of Maryland, which is more realistic in all regards (third photo below). I’ve used those much less since they have been broken or used by someone else on many of my EVAs. 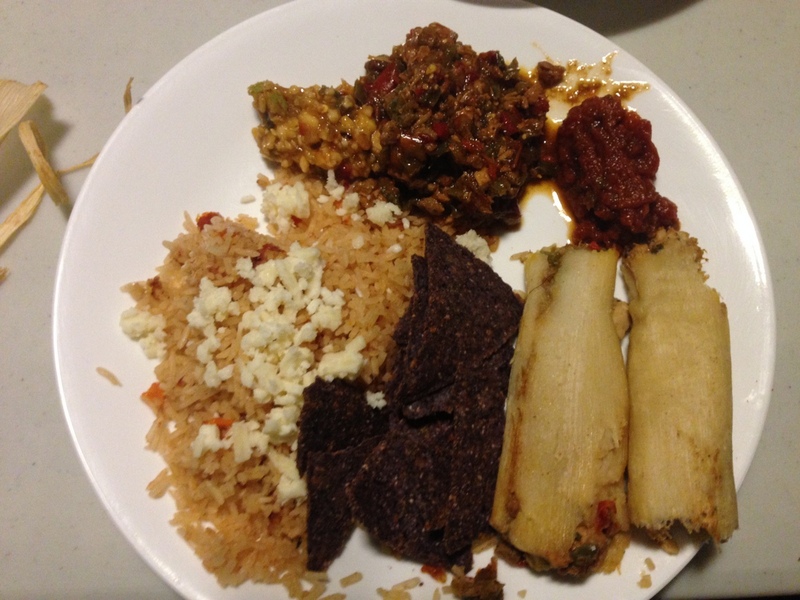 Food – Nearly everything we ate at MDRS was preprepared freeze dried camping/survivalist type food. The exception to this was bread we made most days in the bread maker. It was fine, but we were certainly happy to get some real food at the end of our two weeks. 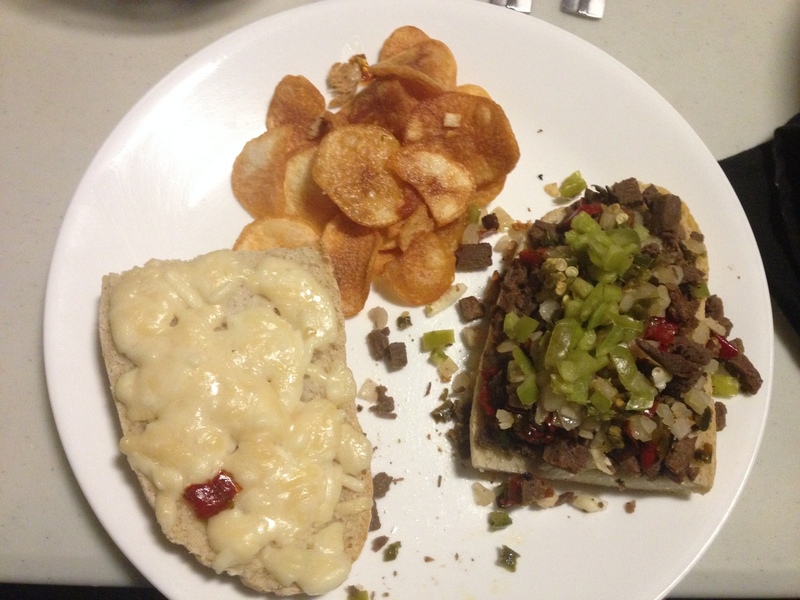 The food at HI-SEAS is excellent (a few of my better meals below). As I’ve mentioned previously, I eat better here than I did living on my own. 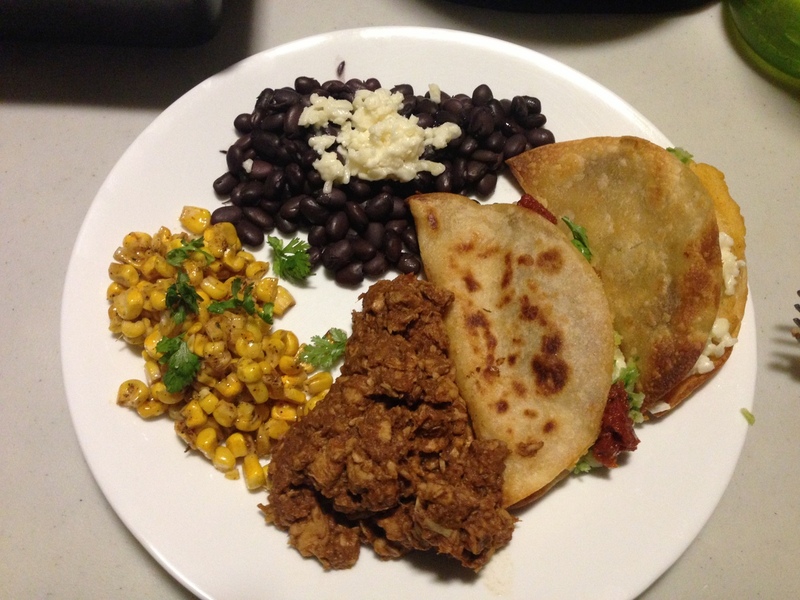 We have to make do without many normal ingredients but we have all found ways to turn our ingredients into mostly normal and always delicious food. We also have many of the same type of freeze-dried instant food that I ate at MDRS for when we are low on power or just want something fast. It isn’t popular among the crew and rarely gets eaten. The downside is we spend much more time cooking and cleaning here than at MDRS. Due to our limited power most of the dinner cooking needs to be done during daylight hours while we still have excess solar power. This means that on your cooking day much of the afternoon is already used. 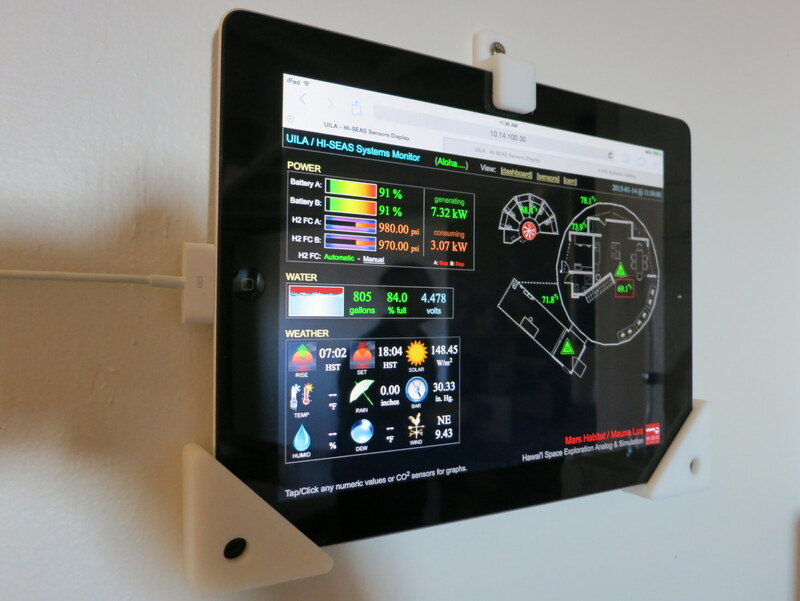 Strictness to simulation – As I mentioned at MDRS we had engineering checks that required us to go out and look at the various pieces of equipment. For safety reasons doing this while in a simulated spacesuit wasn’t allowed so that meant that I (as the crew engineer) was going outside every day, or multiples time a day to do these checks. The sensory deprivation of being in a space suit was therefore less profound since I was spending more time outside without a space suit than with. Terrain – I think the terrain around MDRS (first photo) might be a better approximation of Mars than what surrounds the HI-SEAS habitat (second photo). The terrain here is extremely rough, more so that what I’ve seen in most pictures of the Martian surface. It was awesome to have rovers (aka ATVs) to take out on our EVAs at MDRS rather than being limited to foot travel. I really miss that capability but it would be impossible to use them here. Both MDRS and HI-SEAS have been great experiences for me. Of course HI-SEAS has been meaningful in a much deeper way since it has taken eight months of my life. Both have helped me be confident that I want to continue to pursue the idea of being an astronaut and maybe one day having the chance to go to Mars. Love your summary of the whole mission. What a once in a lifetime experience ! I printed this and sent it to grandma today because I know she would enjoy hearing all these details. Thanks for sending that to Nana for me. Thinking I might be out your way this summer after I get out. I’ll give you a call when I’m done. I’d like to see you guys. You forgot to mention being attacked by the pack of wild dogs at MDRS!!! Attacked is probably a bit strong, menaced perhaps? It did make for an exciting day. Great article!! Thanks for sharing. I am currently writing a research paper on Small Group Communication in Isolated living conditions.